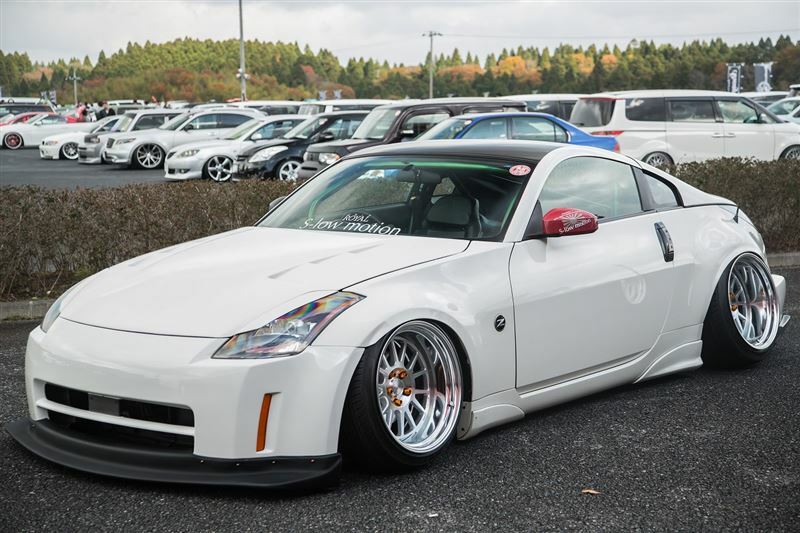 Yin Yang Zs – MoMoHitsTheSpot! 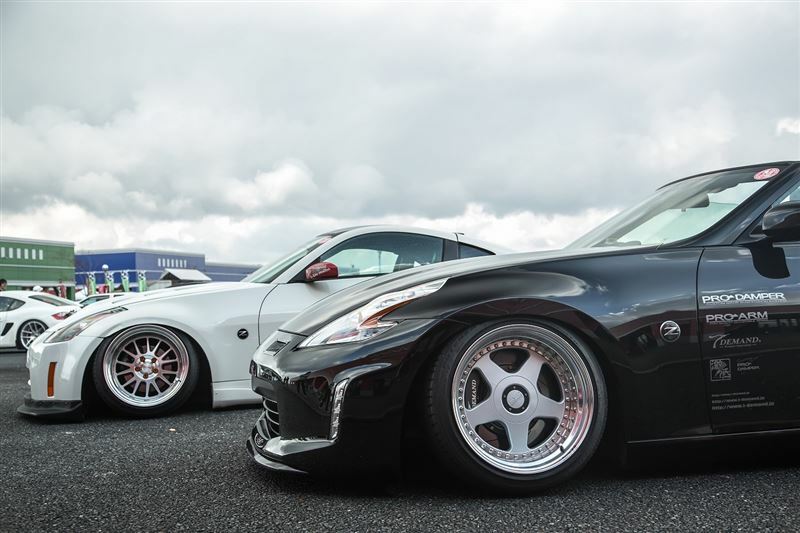 Here’s two gorgeous Zs at the recent Lowfest event at Chiba, Japan. 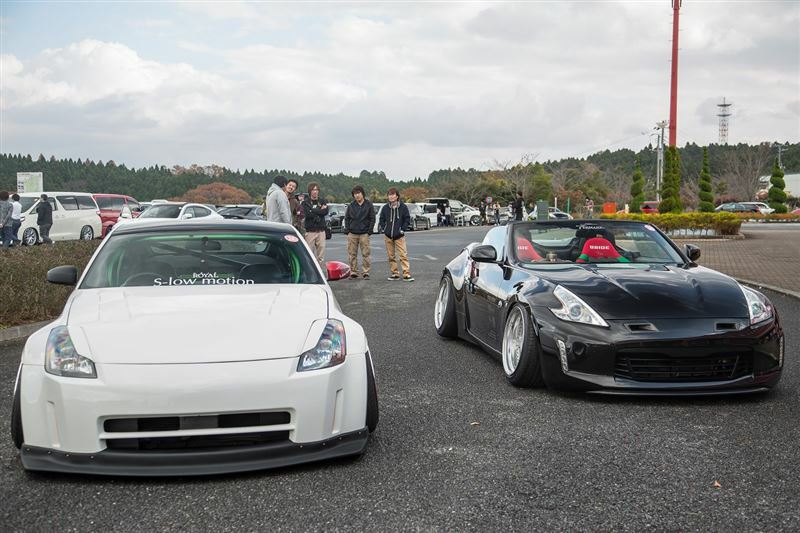 I have actually featured both cars on the blog before but these two are probably a couple of the most well-known Zs in the area. 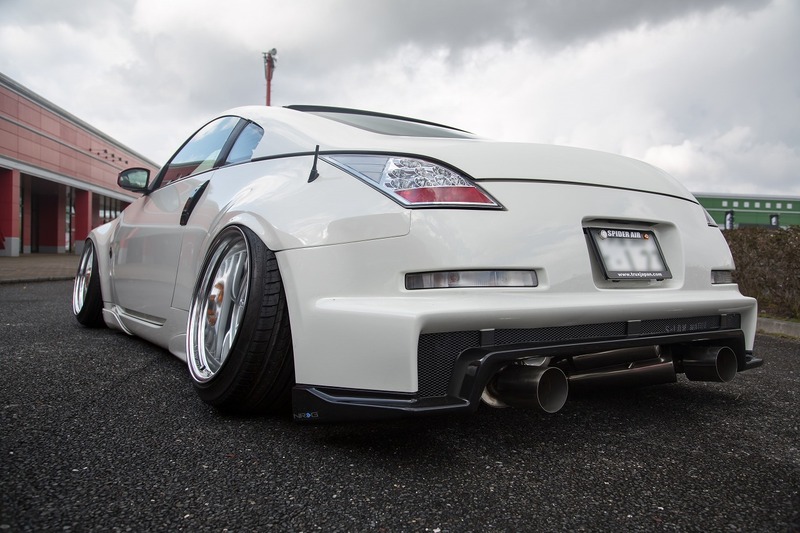 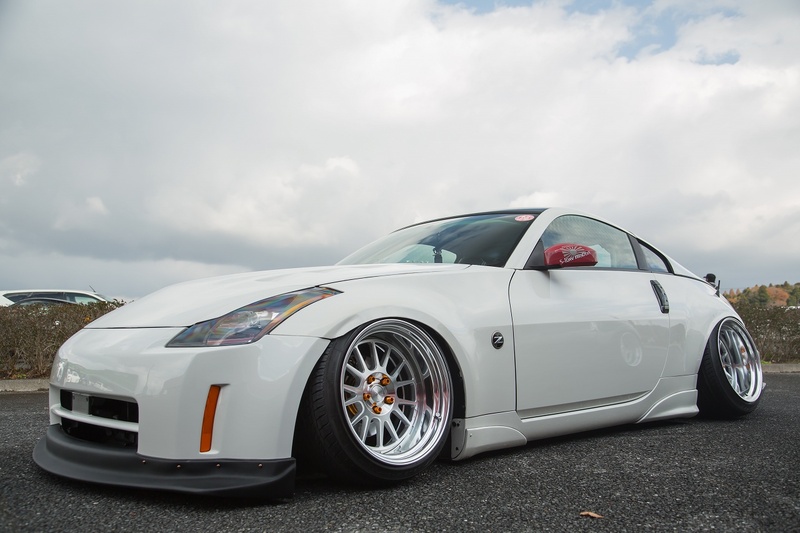 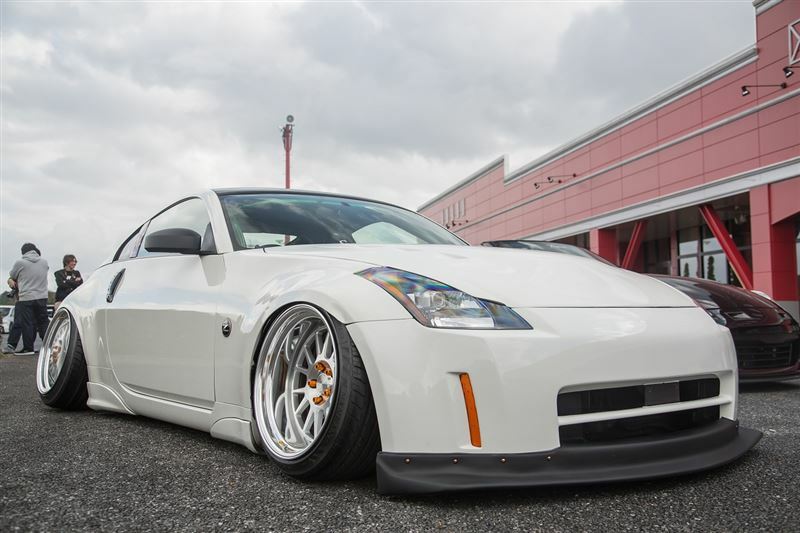 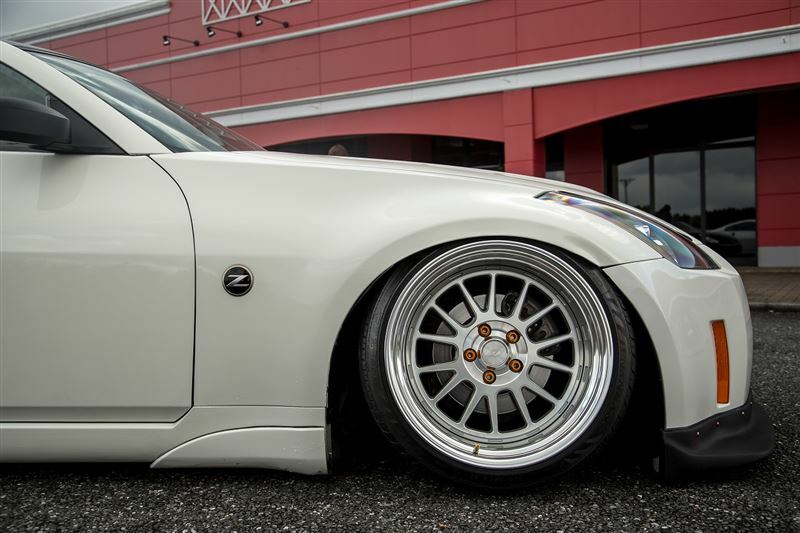 Both are extremely clean and simple with the Z33 rocking Work Seeker FX wheels and the Z34 on OZ Futuras, respectively.